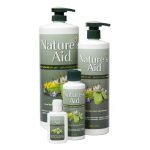 Nature’s Aid gel is an all-purpose skincare product. It can be used as part of your daily beauty regime, the natural astringents in the formula help tighten pores, ease fine lines and wrinkles, while helping promote circulation. 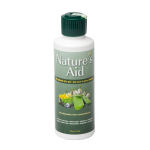 Nature's Aid gel is a fast, safe, and effective natural first aid treatment. It has been blended to promote quick healing and provide soothing relief for most skin conditions caused by bacterial, fungal, and viral infections. Nature’s Aid skin gel can even be used on your pets. It quickly penetrates multi layers of the skin, extending to the underlying muscle tissue, making it effective at soothing and helping to heal a wide assortment of pet infections and their related symptoms. 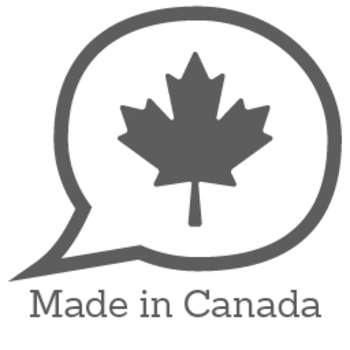 Nature’s Aid is a Canadian company, family owned and operated since 1999. They are fully committed to the health and nourishment of your skin. They use local ingredients whenever possible. All ingredients are sourced in an environmentally friendly manner, and they are adamantly against animal testing of any kind. I used Nature's Aid All-Purpose Skin Gel for a variety of skin ailments from dry, rough patches on my elbows to a minor burn from cooking. Great all-purpose product and happy to know I can use on my pets if they have a skin irritation. I LIKED THE PRODUCT VERY MUCH . LEFT MY SKIN FEELING SO SOFT. IT WAS ALSO VERY LITE, DID NOT FEEL GREASY AT ALL. I ALSO LIKED THE FACT THAT IT IS ALLERGY FRIENDLY, AS I DO HAVE PROBLEMS WITH CERTAIN INGREDIENTS IN CERTAIN PRODUCTS. I CONTINUE TO PURCHASE THIS PRODUCT. THANKS FOR THE OPPORTUNITY TO TRY IT FIRST. I loved it and have recommended it to my friends and family. It has wonderful ingredients in it that works great on any part of my body. It is not at all greasy either which I love. I have extremely sensitive skin so I didn’t enjoy but I gifted this to my friend and she loved it. Unfortunately my skin turned red but I would deff recommend to others. This product works fantastic! I was a little worried that it wouldn't work as well as regular Aloe Vera, but it did! I get really bad sunburns due to my fair skin tone, so I brought it to Miami with me last month. Like usual in the hot sun, I got burnt, even with SPF 50. I applied Nature's Aid to the sunburn and had almost instant relief. It was soothing and took away the pain from the sunburn. I was very impressed. It was non greasy and contains natural ingredients that are great for the skin. I highly recommend this product.